You have permission to do nothing. Pause, for a moment, and consider that. Truly let yourself feel the depth of that statement. You have permission. Permission to simply be, without doing anything. Once I’d fully woken, I discovered I was sore, tired, and quite tight – both physically and mentally. I needed a gentle guidance into a yoga practice, feeling intuitively that if I were left to my own devices my practice would be half-hearted and I wouldn’t be present. My mind stirred to remind me a yoga instructor who’s a dear friend of mine – despite the two of us never having met. We were put in touch via a mutual friend several years ago, and since then, we’ve emailed stories of depression and anxiety, yoga practices, and our shared love of writing. The practice was gentle, heart-full, and both helped me find my presence, and gave my back the gentle movement and release it needed. It was either the perfect coincidence, or a serendipitous gift from the Universe. Toward the end of the practice, there was a moment where Caren said something to the effect of “Give yourself permission to do nothing.” This hit me in the heart as profound, kind, and gentle, all at once. 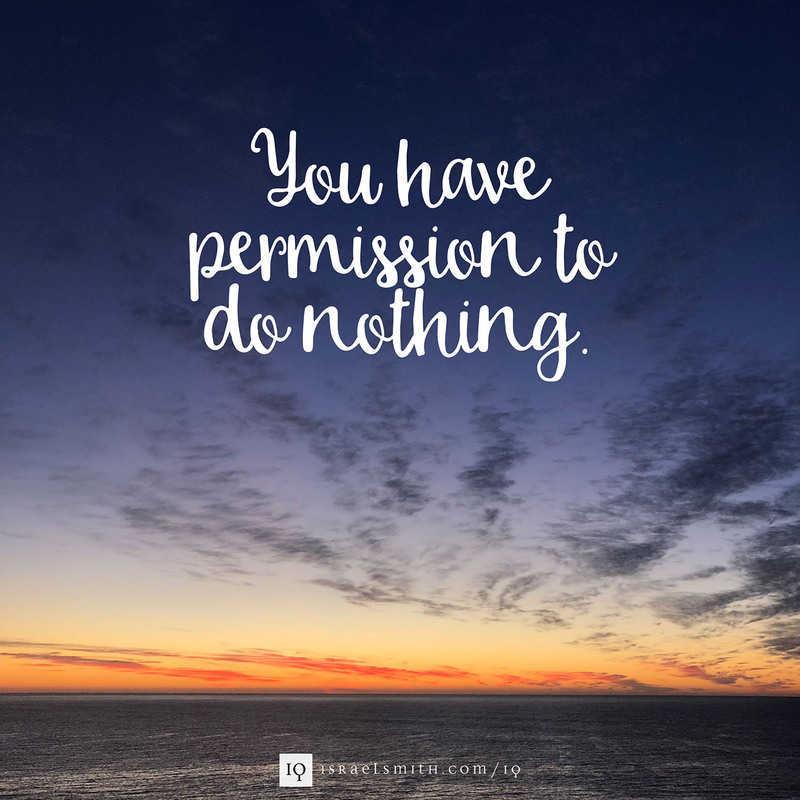 I re-shaped this phrase to “You have permission to do nothing” because truly, we already have permission. We are human beings, not human doings, and it’s important to remember this now and then. My experience of today’s practice was that I fully surrendered. I let myself simply do nothing. And it was sublime. Remember this, today, as you move through your day. You have permission to do nothing, whenever you need it. Take a pause, sit with yourself, and be present. Previous Post: « We are all exactly where we need to be.